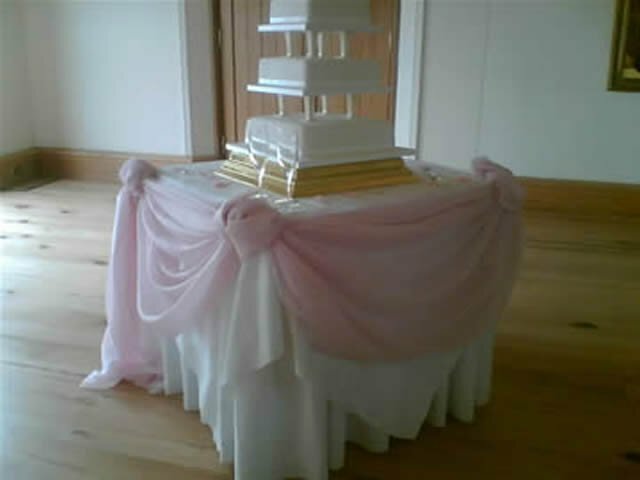 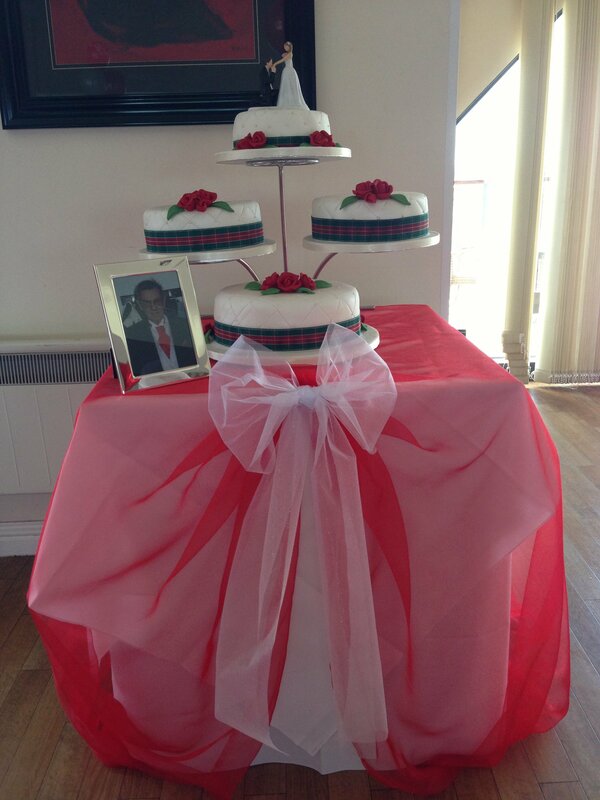 Table swagging adds that touch of colour and elegance to any top table, cake or buffet table. 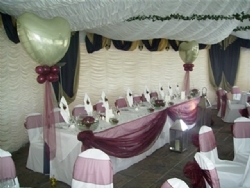 We use organza material, tuelle or ribbon. Incorporated in the swagging can be bows, butterflies or lights there are many different options. 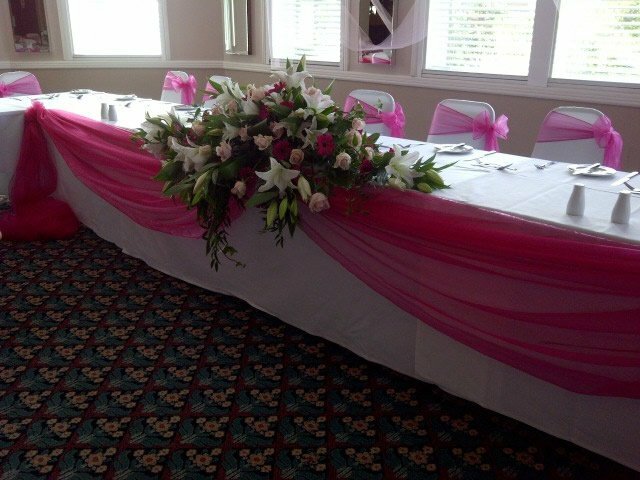 How about your guest tables? 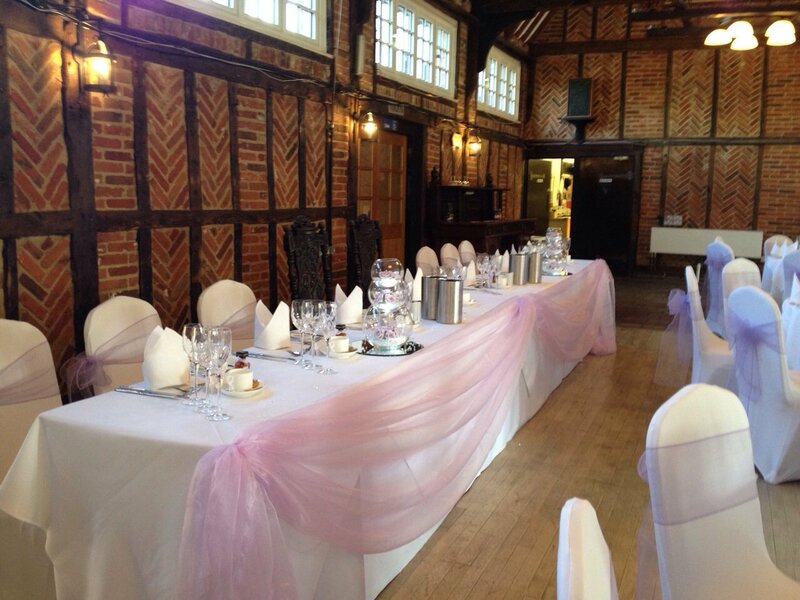 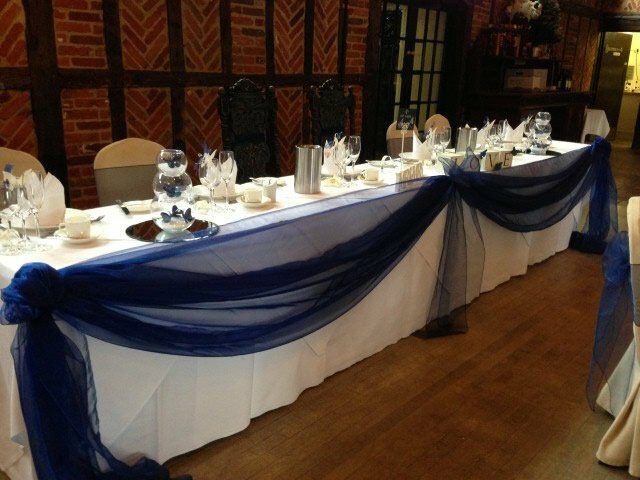 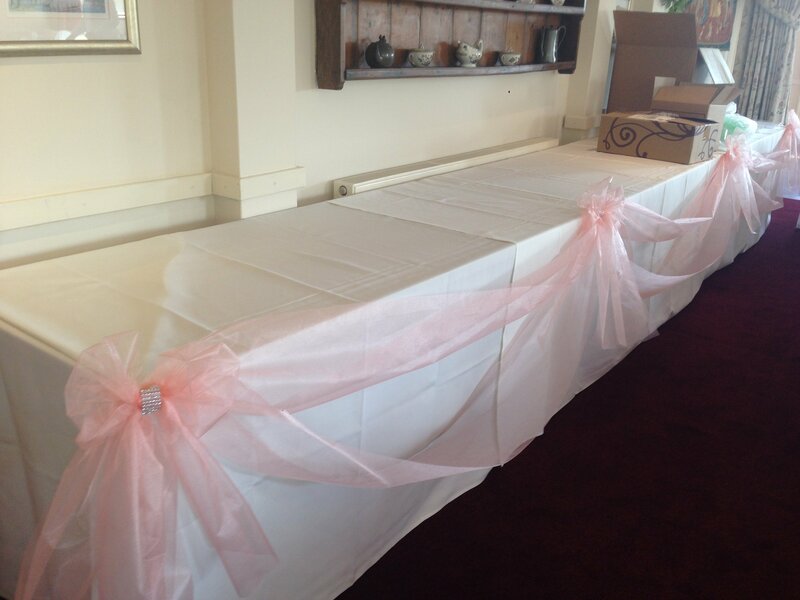 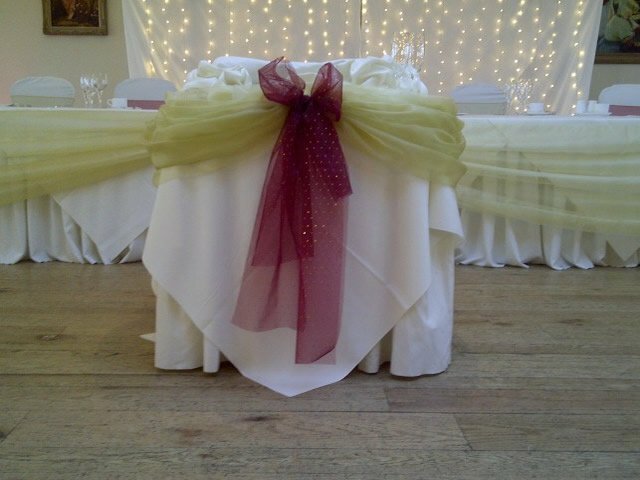 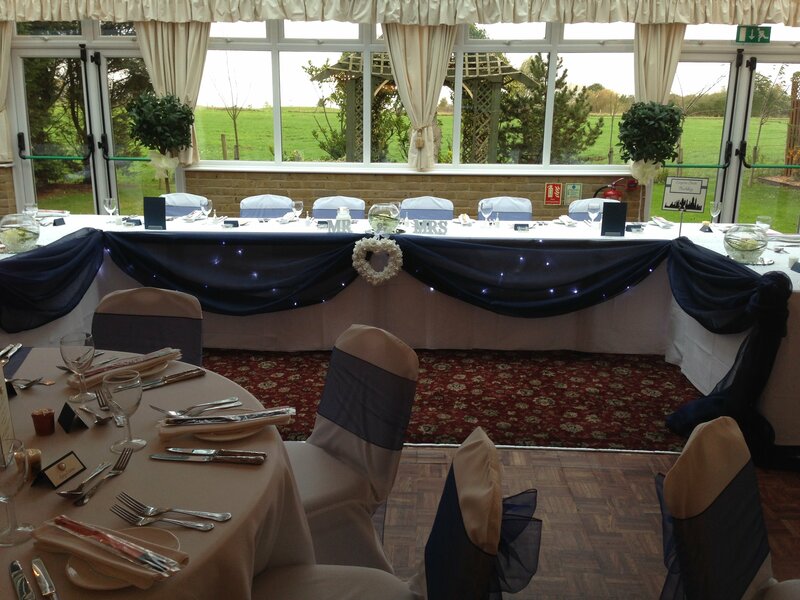 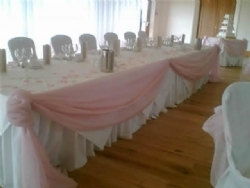 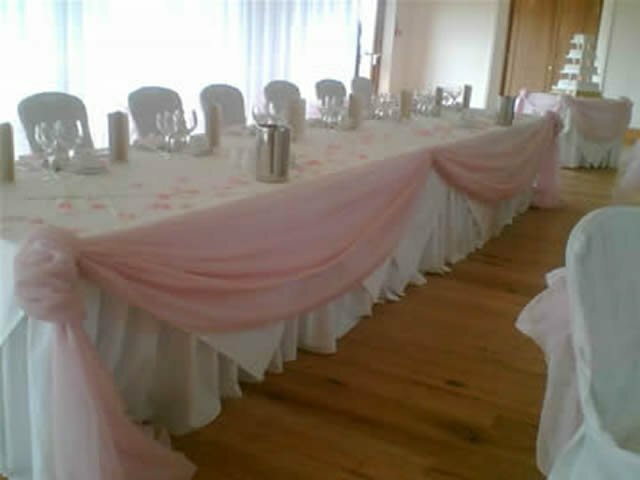 We can provide colour co-ordinated table runners to match your colour scheme. 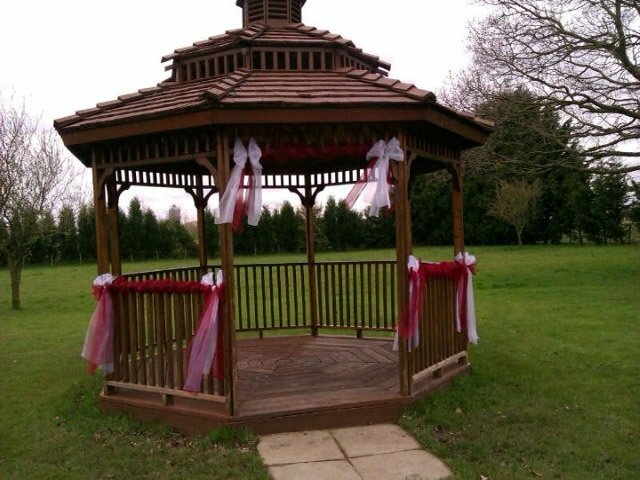 Are you getting married outside? 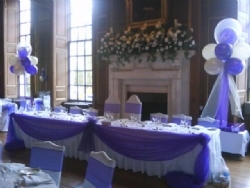 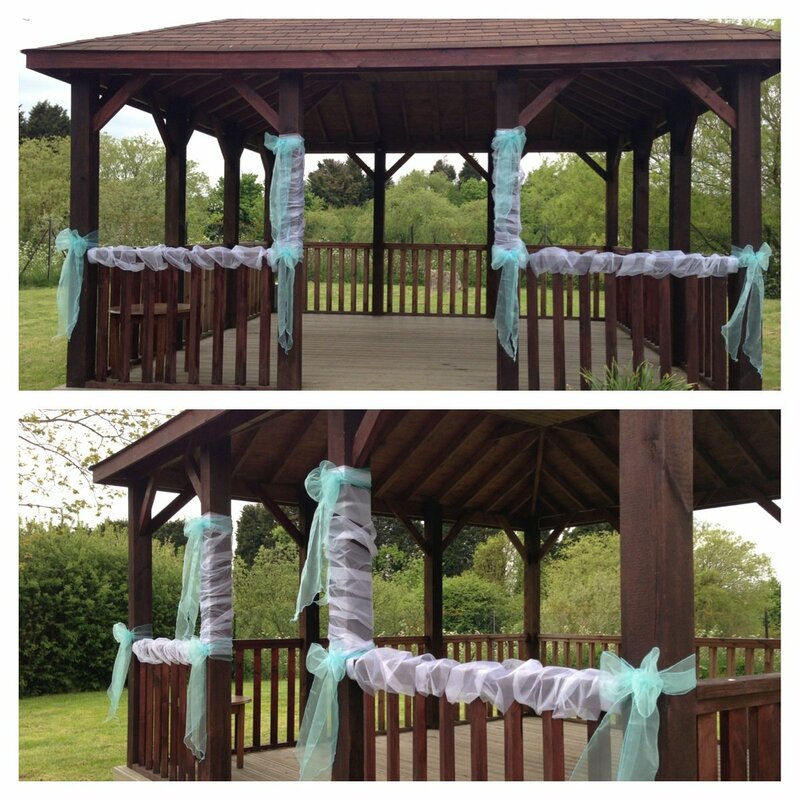 We can also help to dress to gazebo as required with organza, lights, flowers etc. 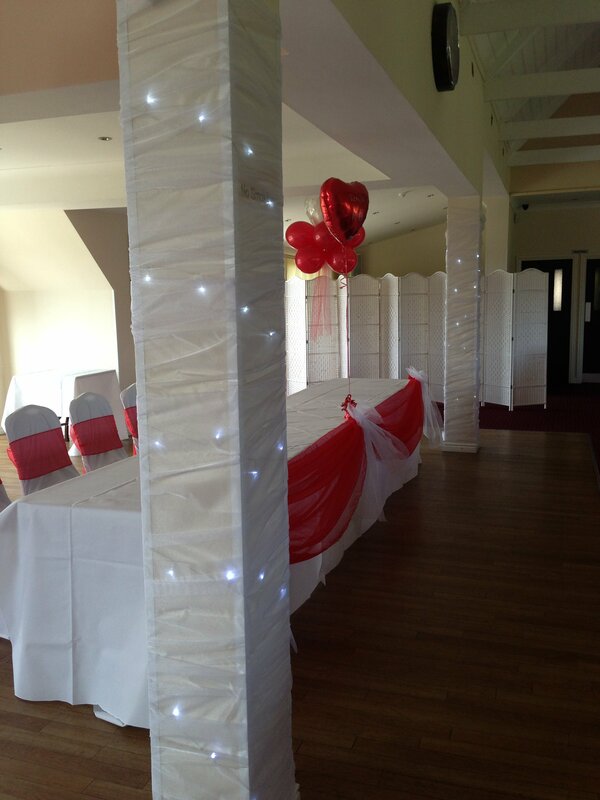 Does your venue have a staircase that needs jazzing up? 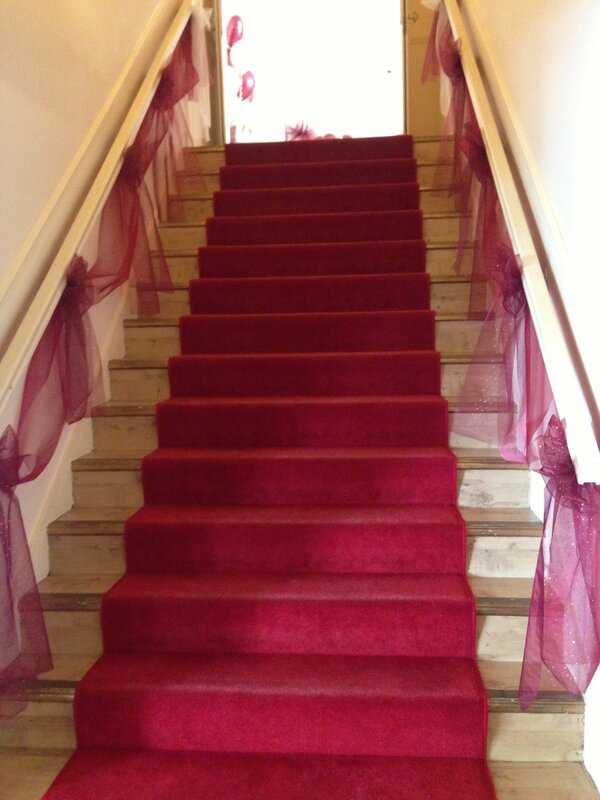 We can decorate the stairs with material, bows & lights too!